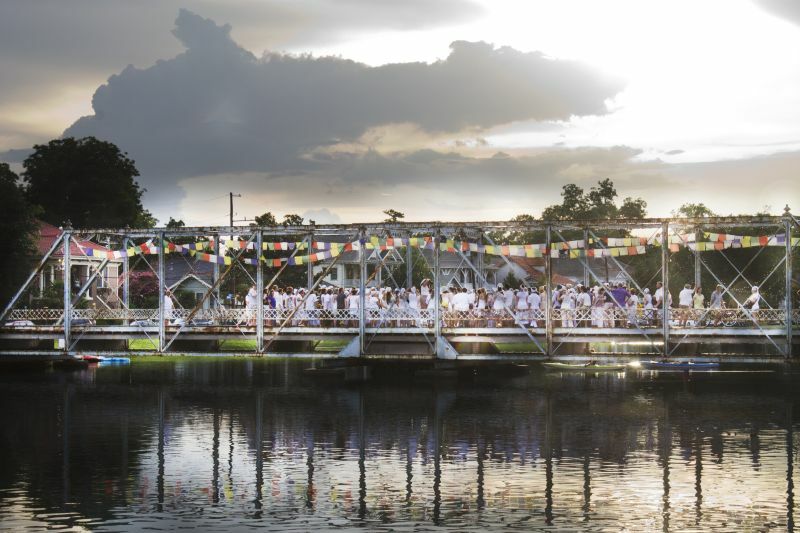 St John's Eve ceremony on the Magnolia Bridge over Bayou St. John with Tibetan prayer flags traditionally hung to inspire compassion, strength, peace and wisdom in honoring His Holiness the Dalai Lama's visit to New Orleans May, 2013. If I could only capture what I see. This is a story about God giving me a photo where I captured more than I saw!! The night of the Krewe du Vieux parade I took this photo in the yard of the deconsecrated Holy Trinity Church on the corner of St. Ferdinand Street and Dauphine Street in Bywater that is now an art and performance space called the Marigny Opera House. While looking for a parking space near the KdV after party, I drove by an event going on in the church yard. It was ethereal and mesmerizing because they had projected blue lights over the normally drab grounds. After parking, I was on my way back up Dauphine to catch the beginning of the parade and by then the yard was empty so I stopped to take a few photos. I later found out that the yard had been decorated for a wedding and the wedding party was inside for the ceremony by the time I got back to the church. It was amazingly beautiful because they had placed lots of candles and a smoke machine at the bottom of the larger than life statue of the Virgin Mary. 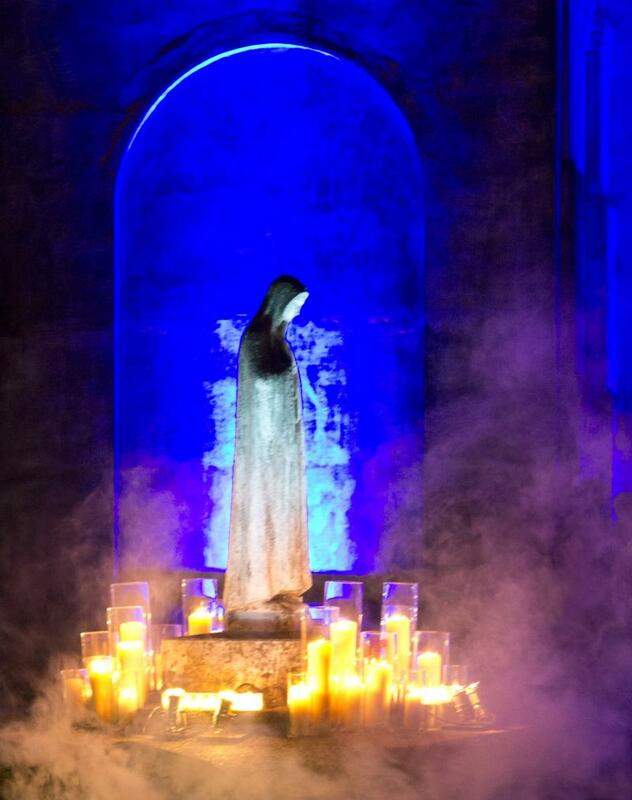 When viewing my photos the next day, I was amazed to find what had not been seen at the time of taking the photo because the blue light reflecting through the smoke surrounding the Virgin Mary statue turned into a luminous turquoise blue yet the blue light intermingled with the warm yellow lights of the candles had turned the billowing smoke purple. The hues and intense saturation of the colors are fabulous. God gave me this extraordinary photo! !